This chile and cheese dip is always a hit. It's the perfect dip to serve along with tortilla chips or vegetable sticks. The dip is made with two kinds of cheese along with diced tomatoes, mild chile peppers, and some cream. It's best served hot from a slow cooker or chafing dish. In a saute pan or medium saucepan medium-low heat, melt butter. Cook the onion until tender and translucent, stirring frequently. To the pan, add the tomatoes, chiles, and salt, mashing tomatoes with a fork. Simmer, stirring a few times, for about 15 minutes. Add the cheddar and American cheeses to the pan, stirring until cheese is melted. Stir in cream. Continue to cook, stirring constantly, for 2 minutes longer. Remove from heat and let stand for 10 minutes. Serve the dip hot from a chafing dish, slow cooker, or fondue pot. 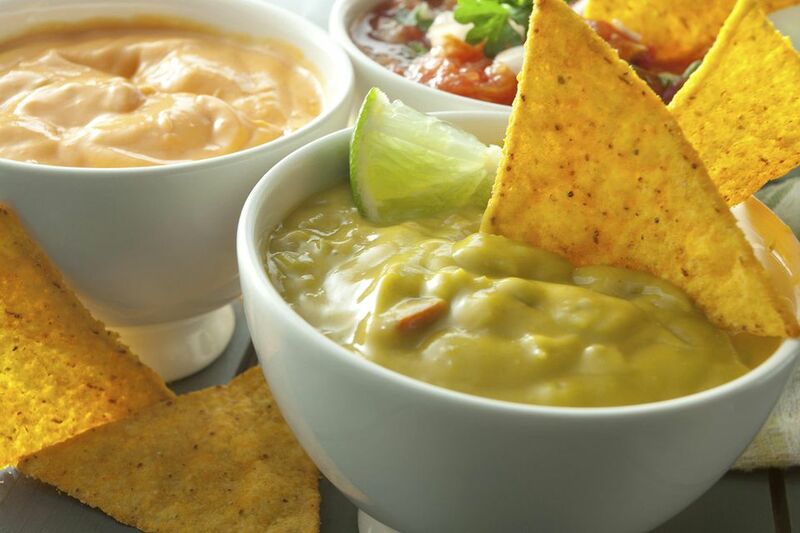 Serve chile con queso dip with corn chips or vegetable dippers. Saute a few tablespoons of chopped jalapeno or serrano pepper with the onion for a hotter dip. Instead of cheddar cheese, add 8 ounces of a Mexican blend of cheeses or taco-seasoned shredded cheese. Replace the diced tomatoes with about 1 1/2 cups of chunky salsa or a can of tomatoes with chile peppers.